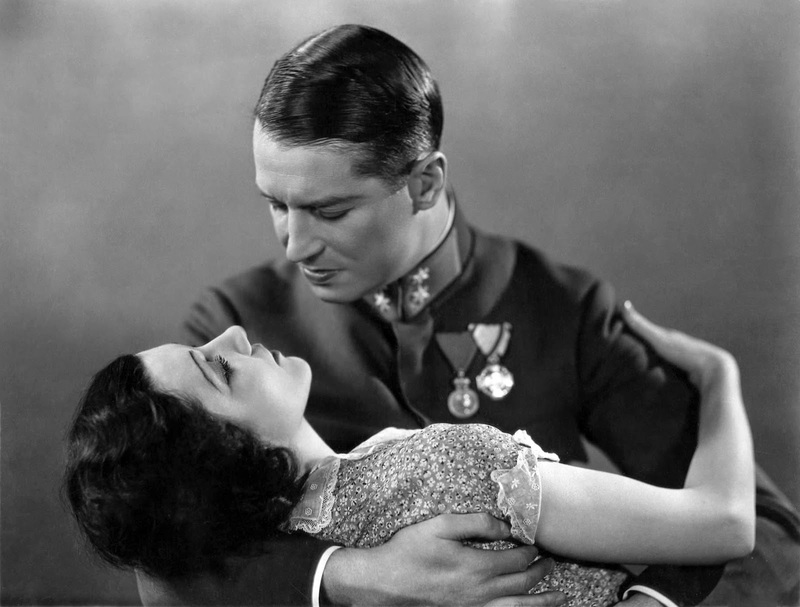 Over the years I've enjoyed many films directed by the great Ernst Lubitsch, but I'd never caught up with THE SMILING LIEUTENANT (1931). I wanted to be sure to finally see it this year, so I included it on my list of 10 Classics to see for the first time in 2015. By chance Kristina also included THE SMILING LIEUTENANT on her own list of 10 Classics to see in 2015, posted at Speakeasy. We decided to follow up our joint reviewing of Kurosawa's HIGH AND LOW (1963) earlier this month by comparing notes this weekend on THE SMILING LIEUTENANT. You can read Kristina's thoughts at Speakeasy. We both loved this one and enjoyed many of the same aspects of this artfully made comedy. 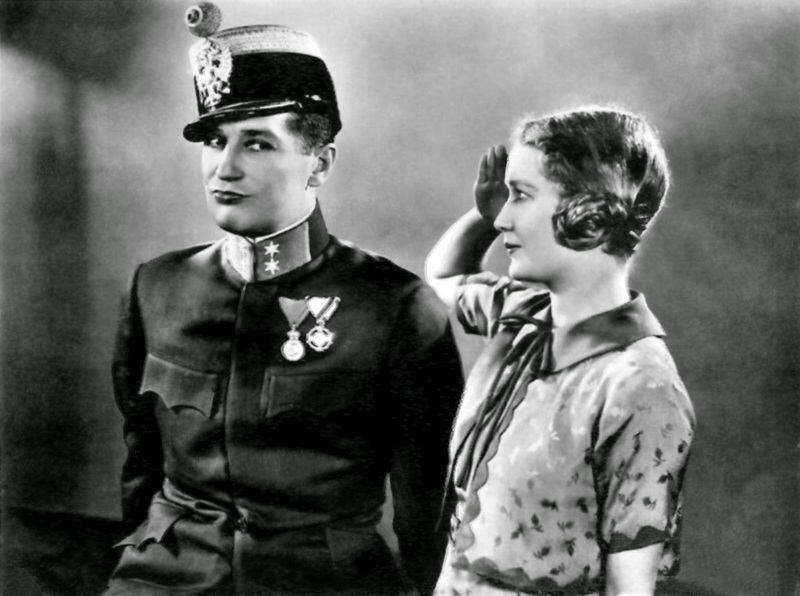 The title character refers to Niki (Maurice Chevalier), a Viennese soldier who happens to smile and wink at his mistress, violinist Franzi (Claudette Colbert), just as a carriage passes carrying Princess Anna of Flausenthurm (Miriam Hopkins). Shy Princess Anna thinks Niki winked at her and is insulted until she's led to believe that Niki is attracted to her. Having no idea of Franzi's existence, the smitten Anna arranges for Niki to marry her, and there's nothing Niki can do to avoid it. The depressed Niki, who still loves Franzi, baffles Anna by leaving her alone on their wedding night, and when Franzi arrives to perform in Flausenthurm, she and Niki resume their relationship. Everything changes when Anna learns Niki is "stepping out" and tricks Franzi into coming to the palace. The women come to a meeting of the minds, as Franzi realizes "women who start with breakfast don't stay for supper." Franzi gives Anna some tips on how to hold her man and then slips out of the palace, leaving behind a soon-to-be happily married couple. 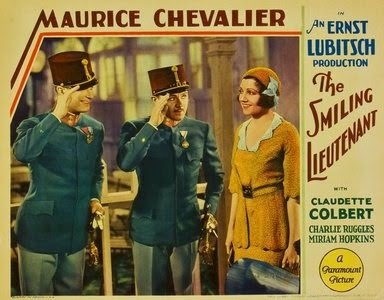 THE SMILING LIEUTENANT is akin to a piece of cinematic candy, elegantly made and fun from start to finish. In the wrong hands this story could easily be leaden, coming off as sad or tasteless. 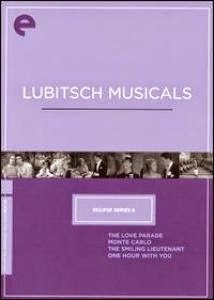 Lubitsch keeps it all floating happily along, even though each of the characters goes through a certain amount of trauma; they're all basically nice people, they've got some hilarious dialogue, and all will turn out for the best in the end. The "romantic" undercurrents Lubitsch managed to subtly pack into one 89-minute film are quite something. Nothing is overtly discussed and everyone keeps their clothes on -- though Franzi does eventually teach Anna how to "Jazz Up Your Lingerie" -- but while a child could watch the film and have no idea what's going on, an adult watches it with amused amazement, reading what the words and gestures really mean between the lines. 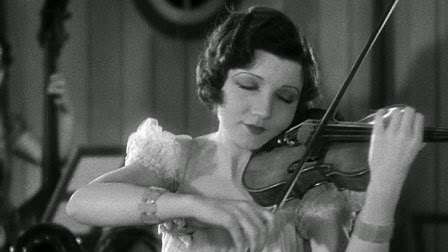 I've always been a fan of Claudette Colbert, and it was interesting to see one of her very earliest films. She's quite touching, particularly in the worldless scene where she sees the despondent Niki return from the palace and realizes their relationship is over. She quickly packs up her things, leaves him a note, and slips out of his apartment, tugging at the viewer's heart without ever saying a word. She has another wordless moment near the end as she leaves Anna, giving a gallant little wave of her hand as she leaves the man she loves to his wife. For a movie which is so funny, there are some deeply moving movements. 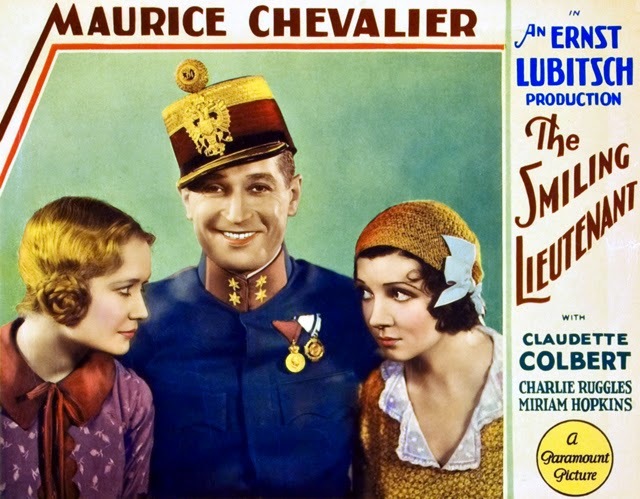 As I wrote in my review of THE LOVE PARADE (1929), I'm not a particular fan of Maurice Chevalier; at the same time I love the early musicals he made with Lubitsch and Rouben Mamoulian, and it's rather impossible to imagine someone besides Cheavalier starring in baubles such as THE LOVE PARADE (1929), ONE HOUR WITH YOU (1932), and LOVE ME TONIGHT (1932), as well as THE SMILING LIEUTENANT. 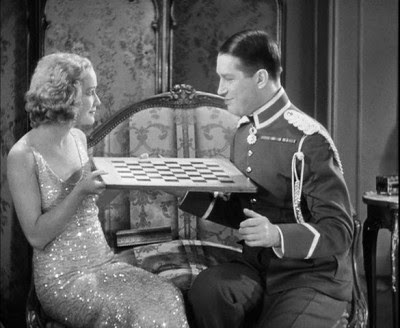 Since seeing MONTE CARLO (1930) with an absolutely awful Jack Buchanan opposite Jeanette MacDonald, my appreciation for Chevalier's role in these classic pre-Code musical comedies has deepened. He may not be my type, but he was the right actor for these movies. The special revelation of THE SMILING LIEUTENANT is Miriam Hopkins. I'd previously enjoyed her in Lubitsch's masterpiece TROUBLE IN PARADISE (1932), but she's even better in this; she's simply hysterical, adorably spoiled, sweet, naive, and very, very funny. Every line reading is a gem. When someone misspells Flausenthurm, Anna sees it as an insult: "They're trying to make us feel, just because we've a little country, we shouldn't have so many letters!" And when her father balks at Anna marrying the lieutenant, she makes the ultimate threat: "I'm going to marry an American!" Yet Anna is never really a brat; the things she blurts out come from being sheltered and from trying to stand on her own feet and find happiness within her royally constrained world. Ultimately, she wants to make her husband happy, and in so doing find happiness herself. The cast also includes Charlie Ruggles (whose role should have been larger), George Barbier, and Elizabeth Patterson. 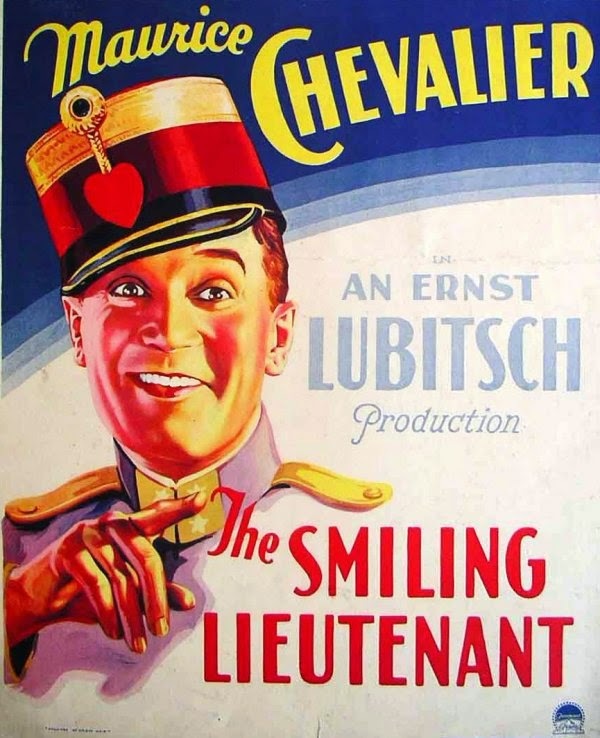 THE SMILING LIEUTENANT is available on DVD in a beautiful print as part of Criterion's Lubitsch Musicals Eclipse collection. I've previously reviewed the other three films in the set: THE LOVE PARADE (1929), MONTE CARLO (1930), and ONE HOUR WITH YOU (1932). I'm very glad this movie was on my list to see this year! Recommended viewing. Hi! Not surprised we both liked the movie and liked the same things about it. I love the "cinematic candy" description. Hopkins hits all the right notes (to borrow the musical motif) and like you said, she isn't spoiled so much as sheltered. She was so funny in this. Loved the jokes about Flausenthurm. Such a naughty, delightful movie, showing how suggestion of adult things can be done artfully. Once again this was lots of fun, so far so good with the quality of the 10 this year. Thanks! Yes, this one was really fun! We've definitely made a good start to the year with our "10 Classics" lists! :) I'm feeling quite productive having seen two of mine and one of yours, two months into the year. Hope we can keep up this pace -- and hope we find other titles as enjoyable as movies like THE SMILING LIEUTENANT and HIGH AND LOW.